My wealthy and powerful associates are not happy with your message of low cost owner-built houses paid with cash, and building small and simple with local materials. To us, this is sacrilege. You see, we are the powers that be that control most everything in the world and who have created the present system to enrich ourselves. You Mr. Geiger and others out there like you are upsetting the apple cart. Nothing is worse than someone like you who causes us to lose money. How dare you. We have a sweet deal going and don’t want things to change. While you call the current system a scam, we call it getting filthy rich. [snort!] We love it when people enslave themselves to us for 30 year mortgages when all we have to do is make a bookkeeping entry to create the money out of thin air. [ha!] We love printing money with nothing backing it up. We love exploiting people, countries and the environment. And the thing is, it’s so freaking easy. Congress critters will sell out for a paltry sum. (It’s paltry to us because it’s just funny fiat money.) They are all too happy to create laws that make what we’re doing ‘legal’. [delirious laughter] We take that same fiat money (something from nothing) to buy up everything of real value and leave the rest of the world in rags and ruin. [choking with laughter] It’s business Mr. Geiger, just business, and we are the best. We are the winners. We are the elite. We run the world. Do you believe for one second the nonsense you are spreading? All this happy talk about working together to create a better world is ridiculous and you know it. Won’t you reconsider what you’re doing and perhaps come work for the other side? Take a hike! You have nothing, nothing that I want. You can go where the sun doesn’t shine. I work for the greater good. Goodness and humanity will prevail over evil. The challenge for a balanced and rational discussion rather than a “rant” however is that some measure of controls do bring huge value – this is very very under rated until you have to live with the alternative of having no controls in place. I live in a poor country with virtually no building “rules” and as “liberating” as that sounds to westerners its also brings with it a great many pitfalls. I am a retired builder by trade and with everything I know it still makes me cautious stepping into any new project, for the average person its nothing short of high stakes gambling. One simple example here is you basically have to build everything new, quite simply you cant trust the cosmetic veener paint and stucco on anything – period. Two its impossible to “trust” anyone to do a “good job” – to take pride in their work – every single job you “contract” needs to supervised personally hour by hour minute by minute. You cant trust tradesmen to do a good job or the “right thing” – even people that would be considered honest, cant be “trusted” because they will often act in a way that is the “way its done here ” without any ill intent or malice and still royally ^&(*&(* things up. Here houses are cheap, very cheap by western standards but there is a reason for that – the guy that does your plumbing is the same guy that did your electrical and the same buy that built your roof and he knows next to nothing about any of these “trades” – the guy that “taught” him knew nothing either, no apprenticeships, no trades trading, no builders guarantees. nothing. And that makes for uninteresting, boring politics – sadly around the world we elect our civic leaders based on stances and positions and grandstanding and what we need for good governance is someone that walks the middle ground. No one ever got “elected” for promoting the middle ground – politics is a popularity competition and we made it that way. We bring these things on ourselves and as is human nature rather than wanting to sleep in the bed we make for ourselves we want to blame someone else. “Greed?” – there are as many greedy, cheating, unqualified, blatantly stupid “builders” operating in the 3rd world with nothing more than a battered pick up truck and a dozen mindless labourers that dont have a clue as there are corporate fat cats in the west. Would they describe themselves this way – heck no, they are just honest hardworking men trying to make a living. It’s a complicated subject. My intent isn’t just to rant, but to draw attention to the problems and try to point people toward solutions/options. But really, maybe it’s too late. That’s the way it seems sometimes. The whole political process, society in general, building codes — almost everything it seems — is screwed up. Who’s going to fix it? How can you fix it when corruption runs rampant? So the best thing still seems like moving to rural areas with few building codes and trying to get something that works for you. That’s what I’ve done (and Kelly and thousands of others) so I know it can work. But then again, this may not work for everyone. Update: I forgot one key point. It’s important to simplify the construction process as much as possible to reduce the need for specialized contractors. Some modern homes are starting to look like spaceships with all the high tech stuff being added. Simplify the design so you can do most everything yourself and save money. 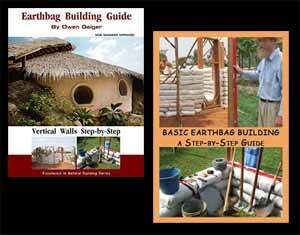 Try to stick with basic materials like earthbags, straw bales, wood poles and plaster. In my opinion, the public at large is brainwashed. The actual state of our country is worse than the former Soviet Union. But people who watch TV don’t know the truth, the mainstream news and the mainstream media keep them distracted and indoctrinated. The vaccines, the public schools, the chemicals in our food and water, and especially the TV – both news and dramas; are used to control the public. … and it works well. Our situation is dire, but the average person doesn’t even know it. I know too much, I often think of leaving the country. Haha, nice. It reminds me of The Screwtape Letters by C.S. Lewis in a way. This isn’t so bad, our government (way down under in NZ) had to clamp down on so many shonky (professional) home builders and developers in recent times due to poor building practices. In simple terms, the houses were falling apart within just a few years from using untreated timbers and other sub standard materials. So, a new law was passed and has now come into effect. Only a qualified builder or developer is permitted to build a house for anyone and if you want to design and build your own container home, as I did, then you have to employ one of them to do it for you. Thus making the whole project very expensive and the authorities fat from all the permit fees that are now just part of the game. And if that wasn’t bad enough, I (a qualified welder and structural steel worker) would have to teach the wood worker what I was doing so that he could do it using his builders qualification. Keep up the good fight and don’t let them stop you. The threat as I see it, is real. So things have gotten worse instead of better in NZ, because people didn’t resist. That’s the subject of an upcoming blog post. People down here in NZ always sit back and except things instead of voicing their opposition to these new so call ‘laws’ and then complain once they are implemented, probably the sheep mentality rubbing off considering we have 40 million sheep to 4 million people. 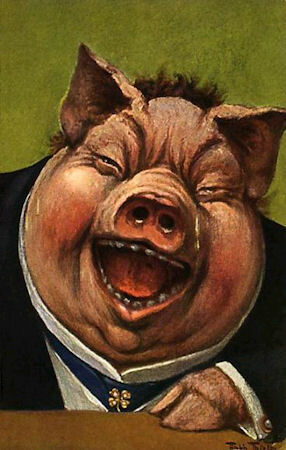 The food bill will be the next one to be passed here in NZ as has already been in the US, thanks Monsanto! As an architectural designer and builder down here i have refused to become registered with this new government law and are happy to fly under the radar doing what i want on my own land to provide shelter for my family without going into debt. My wife and i sat down and watched Money as Debt last night, very very good video, thanks for the link. Excellent work Owen keep it coming! Thanks. Watch all three of those videos if you get a chance. They’re really good. Keep us posted on the food bill. I heard a little about it, but don’t know the details. I do know things are getting worse in the US. The FDA is creating new regulations that ban fresh food cooperatives, raw milk, sharing your garden produce with neighbors, selling excess produce without reams of paperwork, etc. have enslaved the nation with our BOOK OF CODES. It dosent matter if you have a better cheaper way of building homes.We well find you and fine you. Well it seems like that at times. It may seem that way at times, but tyrannical systems have been defeated throughout history. Like Gandhi said, good always prevails, never forget. It is far from lame, I enjoyed it a lot. This post really hits the spot. It tells the truth very well. Good job Owen! A few years back I saw the video “Money As Debt” and after seeing it, my understanding has been that fiat money could be a good thing; assigning a certain value by law to the money. I guess the money system we got out there now is a form of fiat money, an evil form. I’m going to google “Money As Debt” and watch that video again. Money as Debt summarizes the basics in an entertaining style, while Money Masters goes into much more detail. (3-1/2 hours) Both are highly recommended. I’d like to see these shown in every school. It’s just my lame attempt at humor. But the fact it sounds like a governor… now that’s really funny.